The undeniable industry leader, Pink Soap is a must-have for any artist’s studio, classroom or shared workspace. Excellent for use to clean oils, acrylics and watercolor paints from brushes, surfaces and even fabrics, this cleaner does it all! Contains no chlorides, alkalis, phosphates, or alcohol, Speedball’s® Pink Soap leaves no greasy residue after use. 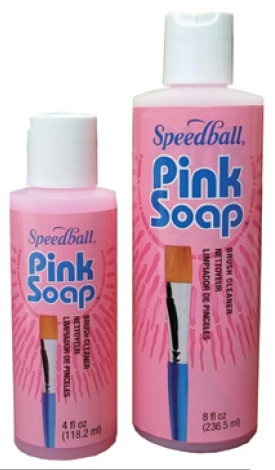 In addition to a brush cleaner, Speedball’s Pink Soap also acts as a brush preserver and condition. Available in 4oz., 8oz., 12oz., and gallon sizes. Mona Lisa Odorless Thinner is a versatile, multi-purpose thinner for use on brushes and accessories to clean and degrease after use with oil paints, varnishes or enamels. 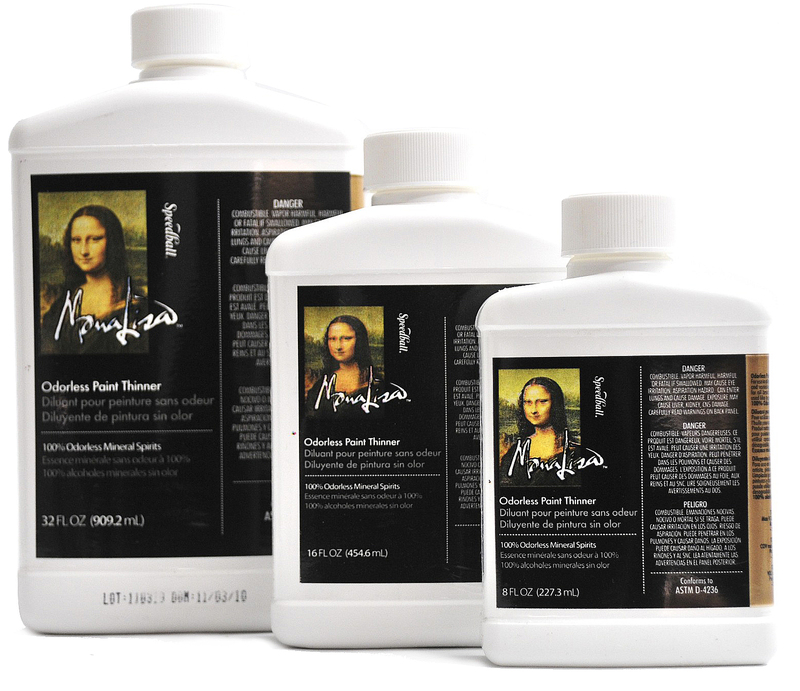 Preferred by chemical-sensitive artists for its low odor and toxicity levels, Mona Lisa Odorless Thinner is packaged in a spill-and shatter-proof plastic container in 8oz., 16oz., 32oz., and gallon sizes. (NOTE: all sizes of Mona Lisa Odorless Thinner are for artist use only; gallon size not for sale in California).